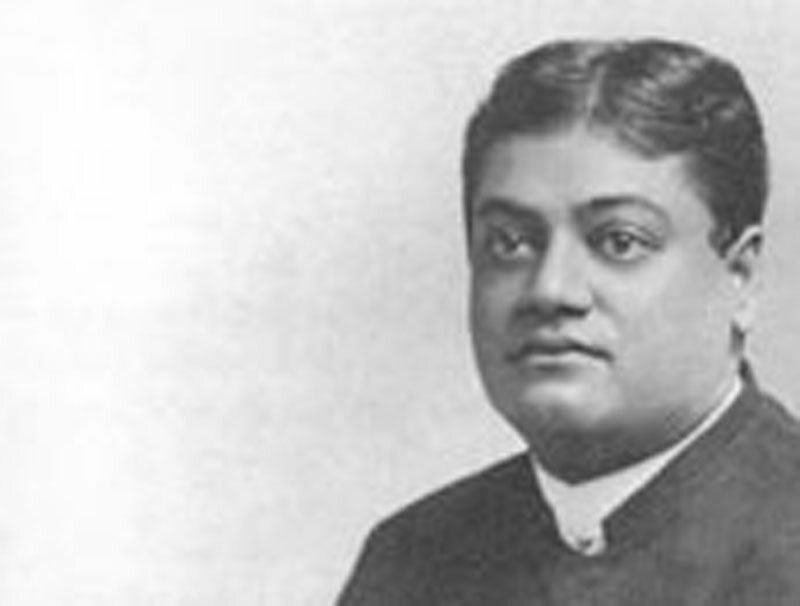 On the Vedanta Philosophy - Teachings of Swami Vivekananda by Topic- Frank Parlato Jr. The Vedantist says that a man is neither born nor dies nor goes to heaven, and that reincarnation is really a myth with regard to the soul. The example is given of a book being turned over. It is the book that evolves, not the man. Every soul is omnipresent, so where can it come or go? These births and deaths are changes in nature which we are mistaking for changes in us. Reincarnation is the evolution of nature and the manifestation of the God within. The Vedanta says that each life is built upon the past, and that when we can look back over the whole past we are free. The desire to be free will take the form of a religious disposition from childhood. A few years will, as it were, make all truth clear to one. After leaving this life, and while waiting for the next, a man is still in the phenomenal. We would describe the soul in these words: This soul the sword cannot cut, nor the spear pierce; the fire cannot burn nor water melt it; indestructible, omnipresent is this soul. Therefore weep not for it. If it has been very bad, we believe that it will become good in the time to come. The fundamental principle is that there is eternal freedom for every one. Every one must come to it. We have to struggle, impelled by our desire to be free. Every other desire but that to be free is illusive. Every good action, the Vedantist says, is a manifestation of that freedom. I do not believe that there will come a time when all the evil in the world will vanish. How could that be? This stream goes on. Masses of water go out at one end, but masses are coming in at the other end. The Vedanta says that you are pure and perfect, and that there is a state beyond good and evil, and that is your own nature. It is higher even than good. Good is only a lesser differentiation than evil. We have no theory of evil. We call it ignorance. So far as it goes, all dealing with other people, all ethics, is in the phenomenal world. As a most complete statement of truth, we would not think of applying such things as ignorance to God. Of Him we say that He is Existence, Knowledge, and Bliss Absolute. Every effort of thought and speech will make the Absolute phenomenal and break Its character. There is one thing to be remembered: that the assertion — I am God — cannot be made with regard to the sense-world. If you say in the sense-world that you are God, what is to prevent your doing wrong? So the affirmation of your divinity applies only to the noumenal. If I am God, I am beyond the tendencies of the senses and will not do evil. Morality of course is not the goal of man, but the means through which this freedom is attained. The Vedanta says that Yoga is one way that makes men realise this divinity. The Vedanta says this is done by the realisation of the freedom within and that everything will give way to that. Morality and ethics will all range themselves in their proper places. All the criticism against the Advaita philosophy can be summed up in this, that it does not conduce to sense-enjoyments; and we are glad to admit that. The Vedanta system begins with tremendous pessimism, and ends with real optimism. We deny the sense-optimism but assert the real optimism of the Supersensuous. That real happiness is not in the senses but above the senses; and it is in every man. The sort of optimism which we see in the world is what will lead to ruin through the senses. Abnegation has the greatest importance in our philosophy. Negation implies affirmation of the Real Self. The Vedanta is pessimistic so far as it negatives the world of the senses, but it is optimistic in its assertion of the real world. The Vedanta recognises the reasoning power of man a good deal, although it says there is something higher than intellect; but the road lies through intellect. We need reason to drive out all the old superstitions; and what remains is Vedantism. There is a beautiful Sanskrit poem in which the sage says to himself: "Why weepest thou, my friend? There is no fear nor death for thee. Why weepest thou? There is no misery for thee, for thou art like the infinite blue sky, unchangeable in thy nature. Clouds of all colours come before it, play for a moment, and pass away; it is the same sky. Thou hast only to drive away the clouds." We have to open the gates and clear the way. The water will rush in and fill in by its own nature, because it is there already. Man is a good deal conscious, partly unconscious, and there is a possibility of getting beyond consciousness. It is only when we become men that we can go beyond all reason. The words higher or lower can be used only in the phenomenal world. To say them of the noumenal world is simply contradictory, because there is no differentiation there. Man-manifestation is the highest in the phenomenal world. The Vedantist says he is higher than the Devas. The gods will all have to die and will become men again, and in the man-body alone they will become perfect. It is true that we create a system, but we have to admit that it is not perfect, because the reality must be beyond all systems. We are ready to compare it with other systems and are ready to show that this is the only rational system that can be; but it is not perfect, because reason is not perfect. It is, however, the only possible rational system that the human mind can conceive. It is true to a certain extent that a system must disseminate itself to be strong. No system has disseminated itself so much as the Vedanta. It is the personal contact that teaches even now. A mass of reading does not make men; those who were real men were made so by personal contact. It is true that there are very few of these real men, but they will increase. Yet you cannot believe that there will come a day when we shall all be philosophers. We do not believe that there will come a time when there will be all happiness and no unhappiness. Now and then we know a moment of supreme bliss, when we ask nothing, give nothing, know nothing but bliss. Then it passes, and we again see the panorama of the universe moving before us; and we know that it is but a mosaic work set upon God, who is the background of all things. The Vedanta teaches that Nirvâna can be attained here and now, that we do not have to wait for death to reach it. Nirvana is the realisation of the Self; and after having once known that, if only for an instant, never again can one be deluded by the mirage of personality. Having eyes, we must see the apparent, but all the time we know what it is; we have found out its true nature. It is the screen that hides the Self, which is unchanging. The screen opens, and we find the Self behind it. All change is in the screen. In the saint the screen is thin, and the reality can almost shine through. In the sinner the screen is thick, and we are liable to lose sight of the truth that the Atman is there, as well as behind the saint's screen. When the screen is wholly removed, we find it really never existed — that we were the Atman and nothing else, even the screen is forgotten. The two phases of this distinction in life are — first, that the man who knows the real Self, will not be affected by anything; secondly, that that man alone can do good to the world. That man alone will have seen the real motive of doing good to others, because there is only one, it cannot be called egoistic, because that would be differentiation. It is the only selflessness. It is the perception of the universal, not of the individual. Every case of love and sympathy is an assertion of this universal. "Not I, but thou." Help another because you are in him and he is in you, is the philosophical way of putting it. The real Vedantist alone will give up his life for a fellow-man without any compunction, because he knows he will not die. As long as there is one insect left in the world, he is living; as long as one mouth eats, he eats. So he goes on doing good to others; and is never hindered by the modern ideas of caring for the body. When a man reaches this point of abnegation, he goes beyond the moral struggle, beyond everything. He sees in the most learned priest, in the cow, in the dog, in the most miserable places, neither the learned man, nor the cow, nor the dog, nor the miserable place, but the same divinity manifesting itself in them all. He alone is the happy man; and the man who has acquired that sameness has, even in this life, conquered all existence. God is pure; therefore such a man is said to be living in God. Jesus says, "Before Abraham was, I am." That means that Jesus and others like him are free spirits; and Jesus of Nazareth took human form, not by the compulsion of his past actions, but just to do good to mankind. It is not that when a man becomes free, he will stop and become a dead lump; but he will be more active than any other being, because every other being acts only under compulsion, he alone through freedom. If we are inseparable from God, have we no individuality? Oh, yes: that is God. Our individuality is God. This is not the individuality you have now; you are coming towards that. Individuality means what cannot be divided. How can you call this individuality? One hour you are thinking one way, and the next hour another way, and two hours after, another way. Individuality is that which changes not — is beyond all things, changeless. It would be tremendously dangerous for this state to remain in eternity, because then the thief would always remain a thief and the blackguard a blackguard. If a baby died, he would have to remain a baby. The real individuality is that which never changes and will never change; and that is the God within us. Vedantism is an expansive ocean on the surface of which a man-of-war could be near a catamaran. So in the Vedantic ocean a real Yogi can be by the side of an idolater or even an atheist. What is more, in the Vedantic ocean, the Hindu, Mohammedan, Christian, and Parsee are all one, all children of the Almighty God.